View our inventory from Unique Enterprises in Moriarty, NM. 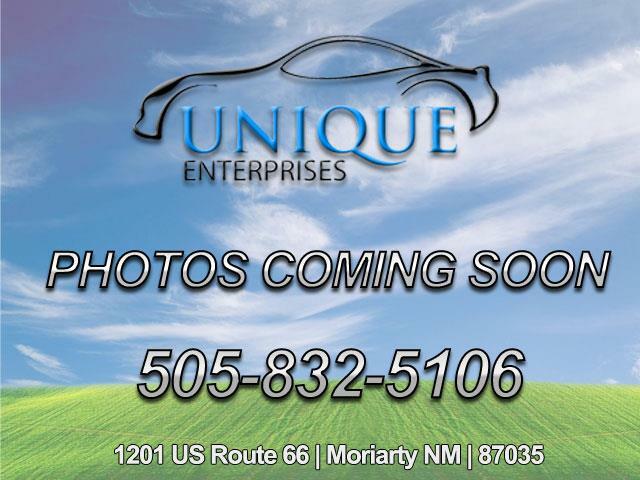 We are easily located on 201 US Route 66 in Moriarty, NM. The East Mountain community no longer has to trek to the city to find quality used cars and trucks. In fact, Albuquerque residents may come to Moriarty to find their new preowned vehicle because Unique Enterprises offers a large selection of quality used vehicles from top manufacturers. Our experienced sales team offers no-pressure sales, and we help you find payment options that fit your budget. As a 5-Star Carfax Used Car and Truck Dealer, Unique Enterprises has high standards for our preowned inventory. We get title and Carfax information to evaluate the vehicle’s history and maintenance record. We have an ASE-certified mechanic thoroughly inspect each vehicle. All our vehicles are covered under the standard used car warranty in New Mexico, and we offer extended warranties and service packages. Preowned vehicles offer excellent value. Let us help you find your new preowned vehicle and the payment options to make it affordable. Contact us or visit our Moriarty location today. Sign up now to receive Unique Enterprises emails with exclusive promotions and offers!